Today Samsung announced the Galaxy S10, Galaxy S10 Plus, Galaxy S10e, and Galaxy S10 5G, a flotilla of phones making up the company’s flagship series for 2019. The fresh hardware from Samsung delivers iterative design updates and incorporates tons of feature-driving silicon. The Samsung Galaxy S10 family includes a core set of shared features, such as multiple cameras, with only minimal tweaks differentiating the various models. More importantly, the various sizes and price points mean it will be easier than ever to find the right phone. Samsung’s new phones carry forward the flagship design staple: a metal frame with glass panels front and back. This year, Samsung has an aluminum frame and Gorilla Glass 6 front and back. Each panel is curved and fits into the frame perfectly. The S8 and S9 series had more obvious curves, where those of the S10 series are more subtle. As flagships go, the S10 brood is right up there with the best metal-and-glass from Apple, Huawei, and LG. Samsung said it focused on three main tentpoles developing the S10 family: display, camera, and performance. Each is important in its own right and together they make a compelling whole. The Samsung Galaxy S10 has a screen-to-body ratio of 93.1 percent. Samsung’s new Dynamic AMOLED displays for the Galaxy S10 series are brighter, have higher contrast, and are still power efficient. Each phone’s screen features a punch-hole selfie camera, but the rest of the sensors are behind the glass. Samsung calls this the Infinity-O display. The Galaxy S10e has a 5.8-inch screen with Full HD+ resolution, the Galaxy S10 has a 6.1-inch display with Quad HD+ resolution, while the Galaxy S10 Plus has a 6.4-inch Quad HD+ display. The Galaxy S10 5G has a huge 6.7-inch Quad HD+ display. All four adopt the 19:9 screen aspect ratio, making for 93.1 percent screen-to-body ratio. 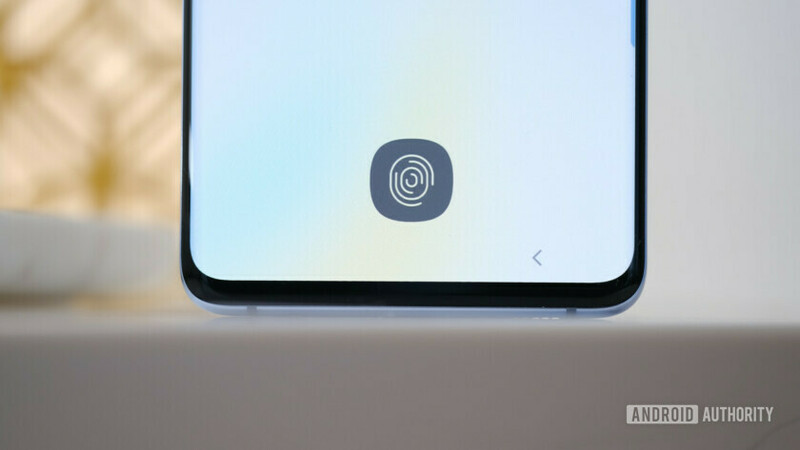 The phones feature ultrasonic in-display fingerprint readers, which read a 3D image of your thumb through the glass and store the information in the secure Knox module on the phone. The displays also have improved blue light control Samsung claims reduces eye strain by 42 percent, and Gorilla Glass 6 for protection. The cameras are another core aspect of the Galaxy S10 line. 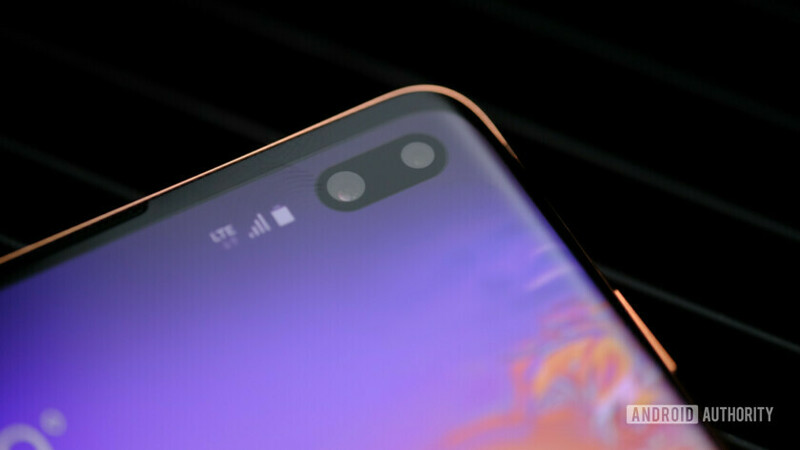 The S10e has two rear cameras, the S10 and S10 Plus have three rear cameras, and the S10 5G will have four rear cameras. All of them benefit from on-device artificial intelligence that can recognize objects and scenes, and make suggestions on the fly. The Galaxy S10's front camera can record 4K video. On the Samsung Galaxy S10 and S10 Plus you’ll find an ultra-wide 16MP camera with a 123-degree field of view, a wide-angle 12MP camera with a 77-degree field of view, and a telephoto 12MP camera with a 45-degree field of view. The camera software transitions seamlessly from lens to lens as users zoom in and out. The two most important features are improved bokeh for portrait shooting and a night capture mode. The S10e drops the telephoto camera, while the S10 5G adds a time-of-flight camera. All are capable of capturing 4K video in HDR10+. On the front, all the phones have a dual-pixel 10MP camera that can record 4K video. The S10 Plus adds an 8MP depth camera for selfie portraits. For performance, the Galaxy S10 line runs on the Qualcomm Snapdragon 855 processor with RAM ranging between 6GB and 12GB, and storage ranging between 128GB and 1TB. The batteries run 3,100mAh, 3,400mAh, 4,100mAh, and 4,500mAh for the S10e, S10, S10 Plus, and S10 5G, respectively. Samsung claims each is able to last a full day. They all support rapid wireless charging, as well as reverse wireless charging for accessories. Rounding out the performance category, the S10 series ships with Cat20 LTE with QAM256 and 4×4 MIMO. They are capable of reaching (theoretical) maximum download speeds of 2.9Gbps over LTE-Advanced 4G networks. The Galaxy S10 series carries over many of the features that have made Samsung phones popular around the world. Each phone is made from aluminum and glass, and comes in black, blue, green, white, and pink. All but the green will reach the U.S. The S10e also adds a yellow variant. The S10 Plus will also be available in a black or white ceramic finish. This premium material is scratch resistant and will be available in limited numbers. The phones include expandable storage via microSD card, a 3.5mm headphone jack, and USB-C. Keeping with tradition, the Galaxy S10 line is rated IP68 for protection against the elements. This means they can sit in up to 1.5m of water for up to 30 minutes. Wi-Fi 6 means super fast local network speeds. Samsung says the Galaxy S10 family will be among the first to ship with Wi-Fi 6 on board. Wi-Fi 6 is faster and more compatible with other Wi-Fi gear when compared to Wi-Fi 5 and older. Bluetooth 5.0 is on board, as is GPS/GLONASS for worldwide location services. Samsung’s Knox software will keep the phones secure. Bixby 2 is accessible, with a dedicated hardware button on the left side of the Galaxy S10 series. Stereo speakers on the Samsung Galaxy S10 family were tuned by AKG and support Dolby Atmos sound. Samsung made sure the new phones are optimized for the Unity gaming engine. Together with a new vapor cooling chamber, the S10 family can better compete with dedicated gaming devices like the Asus ROG Phone and Razer Phone 2. Android 9 Pie is the base platform for these phones. Samsung has given it a glossy coating with its new One UI, which reduces the complexity of the user interface. One UI is rolling out to older Galaxy S9 and Note 9 phones, and will come preinstalled on the S10 family. The Samsung Galaxy S10 5G features the overall design and most of the core specs of the others, with a few clutch upgrades. To start, the screen is larger at 6.7 inches, and the battery is larger at 4,500mAh. The S10 5G is thicker, to accommodate the battery and antennas necessary for 5G service. Samsung said the phone’s software will be smart enough to turn off the 5G radios when they are not in 5G coverage areas. When there’s no 5G, the phone will of course fall back to 4G LTE. The S10 5G adds two time-of-flight (ToF) cameras, one on front and one on back. These allow Samsung to produce more accurate maps of your face for secure facial recognition via the selfie camera. On the rear, the ToF camera aids bokeh and portrait shooting. It’s a monster phone, but Samsung didn’t provide too many specifics. The Samsung Galaxy S10 range is a pricey lot. The Galaxy 10e, which Samsung insists is not a “budget” phone, starts at $749. The S10 costs a bit more at $899, and the S10 Plus carries a premium price tag of $999. No price was given for the memory and storage upgrades, nor for the Galaxy S10 5G. Pre-orders for the Galaxy S10 will be available Feb. 21 and devices will ship March 8. Until March 7, anyone who pre-orders a Samsung Galaxy S10 or Galaxy S10 Plus will also receive a $130 gift certificate can be used on Samsung.com or the Shop Samsung app to purchase select products (the previous offer, which gave Galaxy S10 and S10 Plus pre-order customers a free pair of Samsung Galaxy Buds wireless earbuds, has now been canceled due to the company running out of their initial shipments of the Galaxy Buds). Buyers can also get up to $550 for trading in their current device. 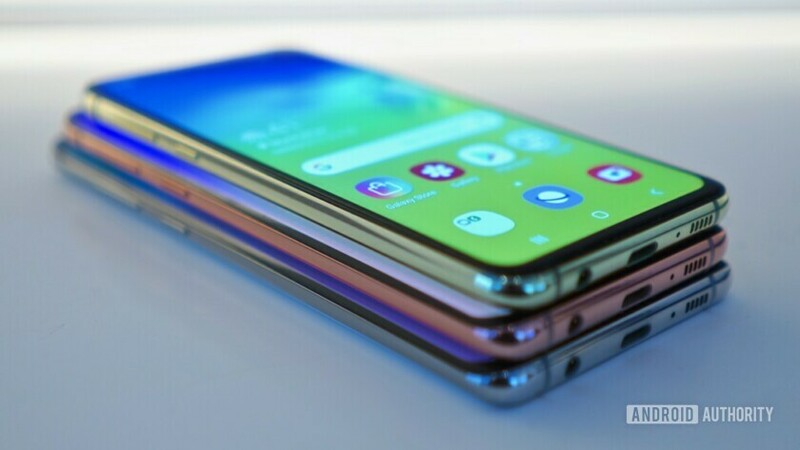 The U.K Three carrier will offer the Samsung Galaxy S10 with a number of different plans, including one with 12GB of high-speed data for £29 upfront and £53 a month for 24 months. The Galaxy S10 Plus can be bought for the same plan for £29 upfront and £57 a month for 24 months. You can also get the phone bundled with the Galaxy Watch for £29 upfront and £67 a month for 24 months. Samsung Galaxy S10 hands-on: Find out how the new S10 family feels and works. Samsung Galaxy S10 specs and features: Full Galaxy S10 specs walkthrough. Samsung Galaxy S10 price, availability, and release date: Everything you need to know about where to buy the Galaxy S10. 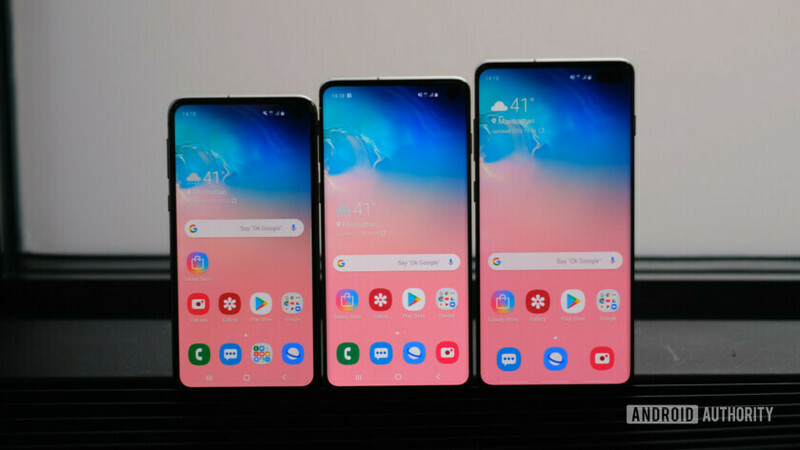 Samsung Galaxy S10 vs the competition: Check out how the S10 fares against the Huawei Mate 20 Pro, Google Pixel 3 XL, and LG V40 ThinQ.